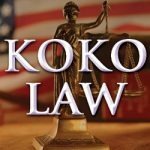 Posted on : June 24, 2015, By: Tom Kokonowski, Esq. My client was charged with OUI in February, and we were able to schedule a trial within the 180 day license suspension period for refusing the breath test. In order to prove an OUI charge, the Commonwealth must prove three “elements”: 1. operation; 2. that the operation took place on a “public way;” and 3. that the defendant was under the influence. After the Commonwealth rested its case, we filed a motion for required finding of not guilty, essentially arguing to the judge that the government did not introduce enough evidence of “public way.” The judge agreed and found my client not guilty himself.